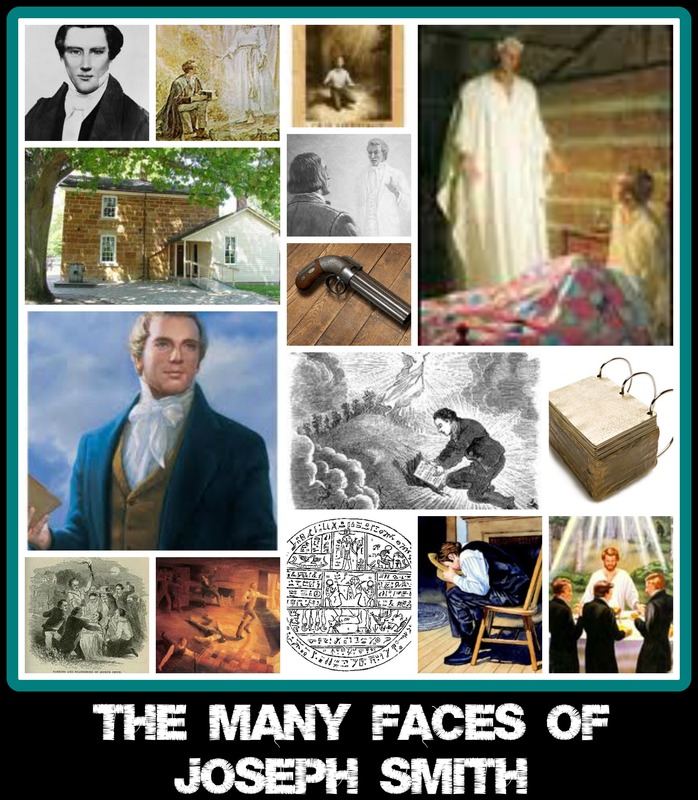 We thought it befitting to create a page on Joseph Smith; after all, if it weren’t for him none of this would be necessary! From false prophecies to lying about his polygamous activities, there’s a lot to learn when it comes to this man. We have two main objectives when it comes to Smith. 2. Ask Mormons why they have such a strong affinity for this man. To borrow the phrase of many Mormons; “I’ll find out when I get there (meaning heaven)”. You’ll find info on historical events in Smith’s life from the time he was a young boy to the day he died in a gunfight while awaiting trial in the Carthage Jail. We’ve also collected analyses of how the Church has regarded him since his death. Do those who’ve left really thirst for Smith’s blood or did he say this to garner sympathy? Did Peter or God Visit Joe Smith? This month the Church employed the use of their many media outlets to broadcast, not only the birth of the Savior, but to remind people of their founder’s great purpose. Why does the Church celebrate a grove of trees Smith supposedly prayed in, when God condemns this activity in the Bible? Why did Smith pray to see a manifestation of God in 1823 when he said God appeared to him in 1820? Smith confessed he lied to family members and tricked them into believing he had found the golden plates. Why did Smith try joining the Methodist church after God told him Christianity was wrong and why did he do this while translating the BoM? How did Smith see God if he didn’t have the priesthood? A year before his death Smith claimed he was the essence of the Holy Ghost. Experts and early church observers agree that Smith demonstrated behavior similar to those with Bi-Polar or other mental illnesses. Smith told people that journals of the original apostles were the origin of the NT and because they lacked discipline in keepint good notes, the Bible suffered from not having all the correct info. Would a true prophet of God commit fraud? Joseph Smith’s Character Rivals Those in the Bible – including Jesus! Why didn’t any of these prophecies come true? The ministry’s good friend, Lee Baker, asked LDS leadership why Joe lied about being a polygamist when he ran for US President. A year later (2016) he still hasn’t heard back from them. How did an un-baptized Joe Smith baptize Oliver Cowdery if he didn’t hold the priesthood and how did he see the face of God if he didn’t hold the priesthood? Smith said he’d stand for a ‘true principle’, but what is that? If you’re unaware, a true principle in Mormonism, is their own version of the Mormon gospel which includes polygamy, misogyny, racism, and polytheism. The LDS dietary law known as the Word of Wisdom is strictly followed by LDS members so we’re wondering what they think of their first prophet’s issue with his revelation and why he couldn’t obey his own rules. Just what was Smith doing from his 1st vision to the time he received the plates? Is his story reliable? The LDS Meridian Magazine’s article on “Joseph the Translator” written by an LDS Church education writer is looked at and compared with the word of God. The article lists several reasons why God only speaks to man through Joseph and no one else and why Joseph Smith was far and away the best translator and author of scripture than anyone else who’s ever lived. Bruce McConkie defined adulterers as liars. Smith married 40+ women while still married to first wife Emma. McConkie’s definition certainly fit Smith’s life! Thought of the Day on what Smith’s martyrdom did for those in the Church. Did you know that Smith’s family testified against 2 innocent women at the trials? Why is his family always associated with witchcraft? If the plates were real why would Smith need to purchase fake plates to convince people his story was true? Why does the Church hold onto Smith’s seer stone? We examined a Christmas devotional at LDS Business College and asking why they’re venerating Joe Smith instead of Jesus during the Christmas Season. Joe Smith’s life shows a track record of witchcraft, Satanism, Astrology, and other occult practices. Is his life a picture of a man called of God or …? Which Prophet is the Greatest? The Church claims that Smith is greater than Isaiah and even Moses! Is this true? Don’t Believe ANYTHING that is posted here!!!! go to lds.org! What is it that’s upset you so? Why shouldn’t anyone believe the things we’ve posted here? Your reaction is much like that of the majority of Mormons who come to our site. They accuse us of something we’ve not done and yet they won’t give any specific reasons of what the infraction is. I was just like you are now Delanie. 30+ years ago I screamed and pitched fits if anyone questioned my beloved prophet Joseph or said anything negative about Mormonism. Then after awhile I tired of always being in a raunchy mood and wanted to be articulate enough to carry on an adult conversation with those who opposed my views. Taking a debate class in college really helped as well. What I found out was that I was the one in the wrong, thus the website. We’re praying for you Delanie and hope to hear from you again. There are thing that u talk about that a crazy, you don’t know what you are talking about… U gotta investigate more bro.